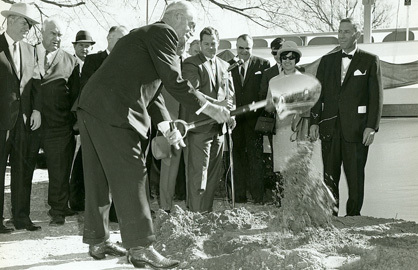 In 1964 the State of Texas, City of Waco and private benefactors formed a unique partnership. Its purpose: to safeguard the history and heritage of the legendary Texas Rangers for future generations. A small museum opened on the banks of the Brazos River in 1968. Over the last half-century it has become the State-sanctioned historical center of the Texas Rangers welcoming more than 4.5 million visitors. To disseminate knowledge and inspire appreciation of the Texas Rangers, a legendary symbol of Texas and the American West; To collect, preserve, study and exhibit artifacts, artwork and archives relating to the Texas Ranger service; To permanently document and honor the service of Texas Rangers past and present. The Texas Ranger Hall of Fame and Museum is a governmental nonprofit, the same 170(c) classification as the Smithsonian Institution. Its Collections and archives are publicly-owned by the People of Texas and their descendants. Donations of artifacts and archival records are protected by public property laws. As with other nonprofits, financial support qualifies as tax deductible donations. A statewide board of citizens and active & retired Texas Rangers advises the staff, City of Waco and the Texas Department of Public Safety on operations and programs. A board of distinguished historians, the Texas Ranger Laureates, consults on exhibits and educational projects. Retired and active Texas Rangers provide information on recent and contemporary operations of the agency.